If you thought The X Factor was exciting, you should have been at the Grand Final of The P-Factor in Malton on Friday. It was amazing! The P-Factor is part of the Ryedale Book Festival, and is the brilliant brainchild of award-winning Ryedale-based author Andy Seed. The idea is to get children across Ryedale learning and performing poems (of their own choosing). The early rounds of the competition are held in the schools themselves, then the winning group from each school comes to Malton to perform at The Grand Final. Teams from 11 Ryedale primary schools turned out to perform this year. I was one of the four Grand Final judges, along with fellow poets Messers John Hegley, Steve Nash and Andy Seed, all of whom performed for the children in the morning. Then, come the afternoon, we had the great privilege of watching teams from all 11 schools perform a huge variety of poems, from funny ones to frightening ones, silly ones to sad ones. Dressed up and armed with a wide variety of props, the children all shone as they performed their poems on stage, under bright lights, to an audience of nearly 300. The children came from the following schools: Terrington , St Mary’s, St Joseph’s, St Benedict’s, Settrington, Norton, Langton, Kirkbymoorside, Gillamoor, Foston, Amotherby. And I’d like to congratulate every single participant from every single one of those schools. You were fantastic! However, we had to choose a winner. Not easy! But our unanimous decision was that the runners-up were Amotherby Primary School, and the winners were … Kirkbymoorside Primary School, with a fabulous multi-media performance of Michael Rosen’s ‘End of the World’ that included an erupting volcano. 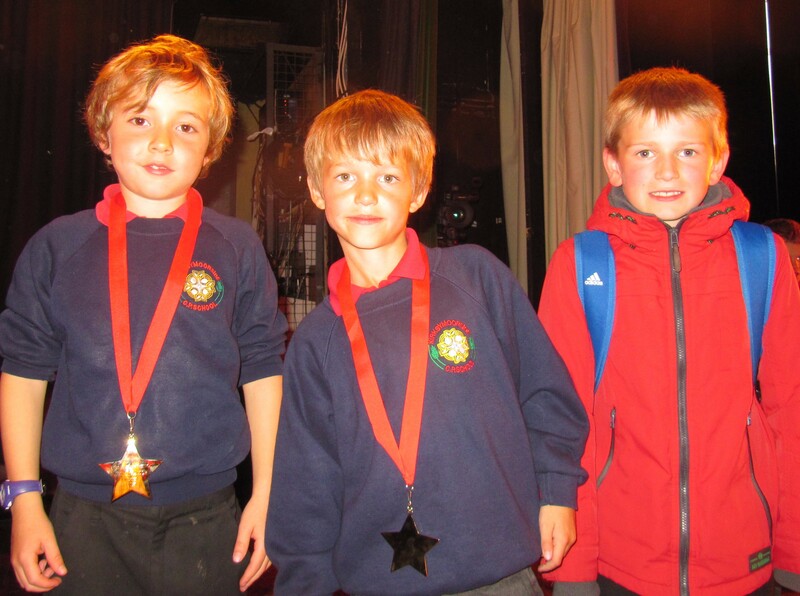 You can see pictures of the Year 4 winners in a reprise of their performance on the school’s website. 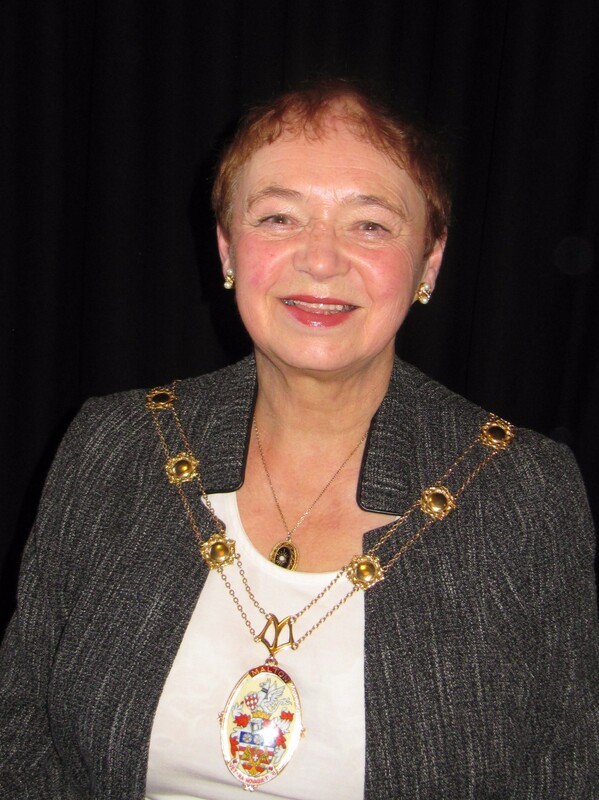 The Mayor of Malton, Cllr Joan Lawrence, at the 2015 P Factor Grand Final. The Very Great John Hegley declared the day to have been ‘better than the X Factor’. And who am I to disagree? The 2015 P Factor Winners from Kirkbymoorside Primary School, getting ready to go home after their triumphant performance. Thank you to all the pupils, parents and teachers who put so much work into this competition. It was all well, well worthwhile. 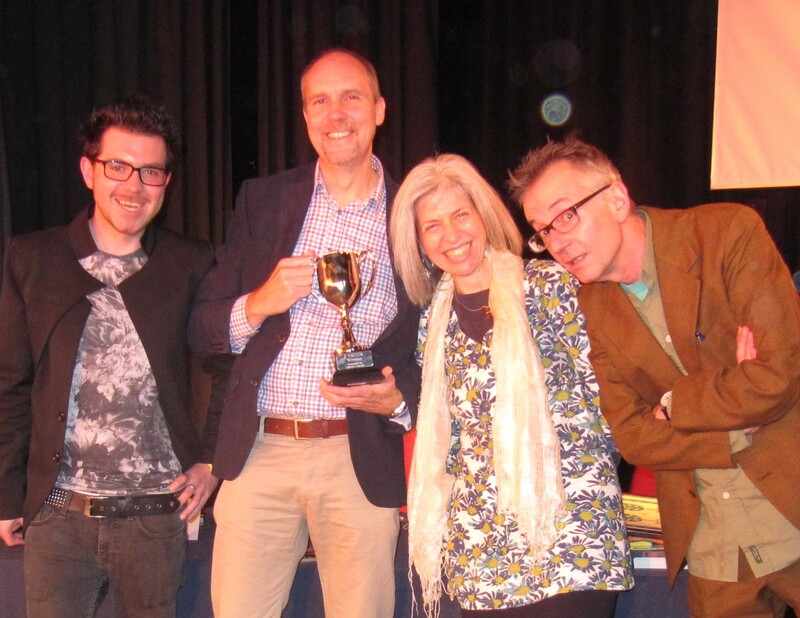 And thank you to Andy Seed and Sarah Tyson of Ryedale Book Festival for making the competition happen. If you’re a Ryedale primary school and would like to take part in next year’s P Factor, then email Ryedale Book Festival.